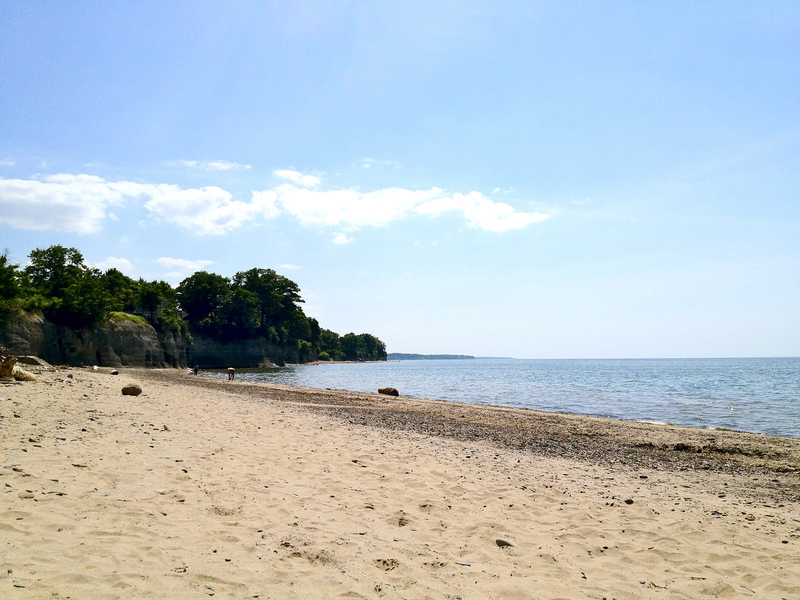 We live right up the street from a huge and beautiful beach right on Lake Erie. We’ve been spending all our free time there this summer and I’ve been coming up with some quick solutions to some common beach-going problems. I found myself loading up the bottom of our beach bag with all our miscellaneous items and then clawing through the bag aimlessly once at the beach to trying to find them. 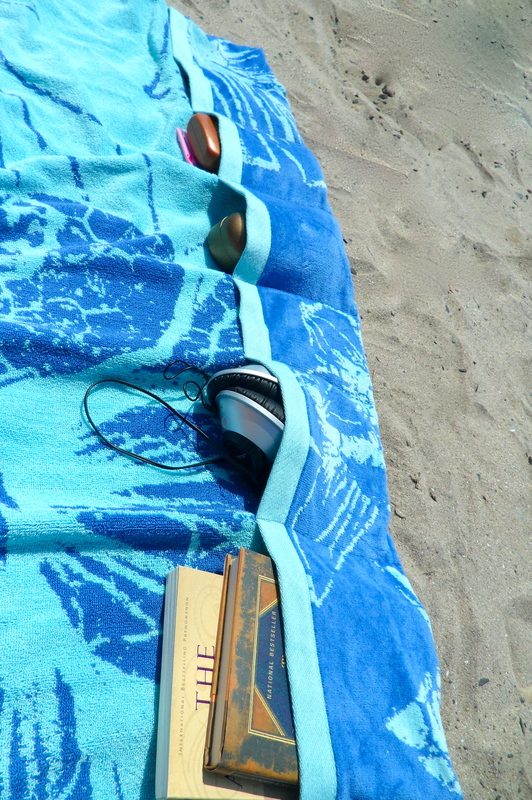 I always worried about my headphones getting crushed, my books getting crumpled, losing my iPhone/iPod and I could never seem to find the suntan lotion…. so I came up with this! I took one of our oversized beach towels and sewed pockets into the bottom of it. All the essentials fit snuggly into the bottom of the towel and then it gets rolled up so it not only saves space while protecting everything at the same time, the days of digging through my bag to find things are over! This is a great project because it’s easy and quick so you can make one in time for the beach this weekend! Make sure you check out this post with all of my beach bag essentials! 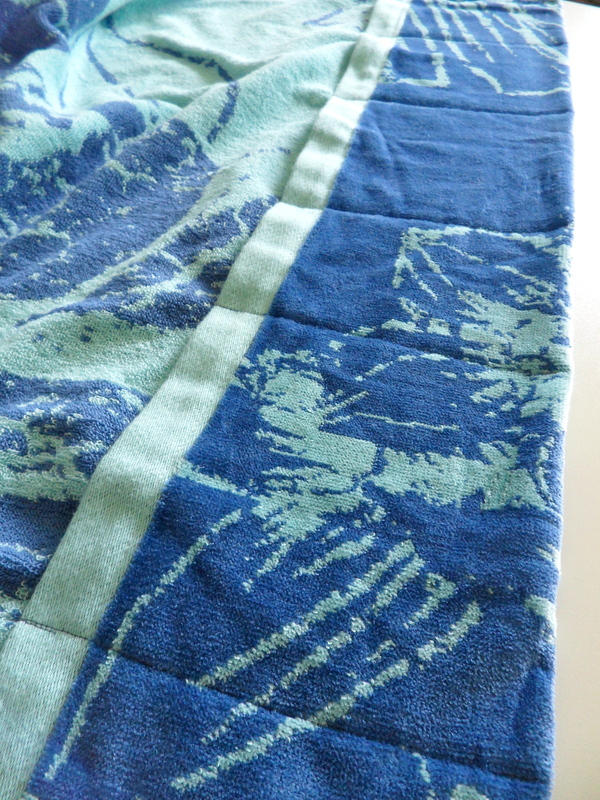 We have Better Homes & Garden’s Acapulco Towels that are HUGE which I love. Start by folding up the bottom of one end about 6″ (you can adjust this measurement depending on how deep or shallow you want your pockets) and pinning it in place on both sides. Now you’ll measure out the size of each individual pocket and mark them in pins. The easiest way to do this is to lay out all the things that you know you always bring with you and measure the pockets accordingly. For me it was two books, my headphones, my iPod, a pair of sunglasses, suntan lotion and a wide toothed comb, a waterproof digital camera and waterproof video camera and my iPhone. Once you’ve marked all the pocket lines, remove the items from the pockets and sew along both sides of the towel and all the pin marks. 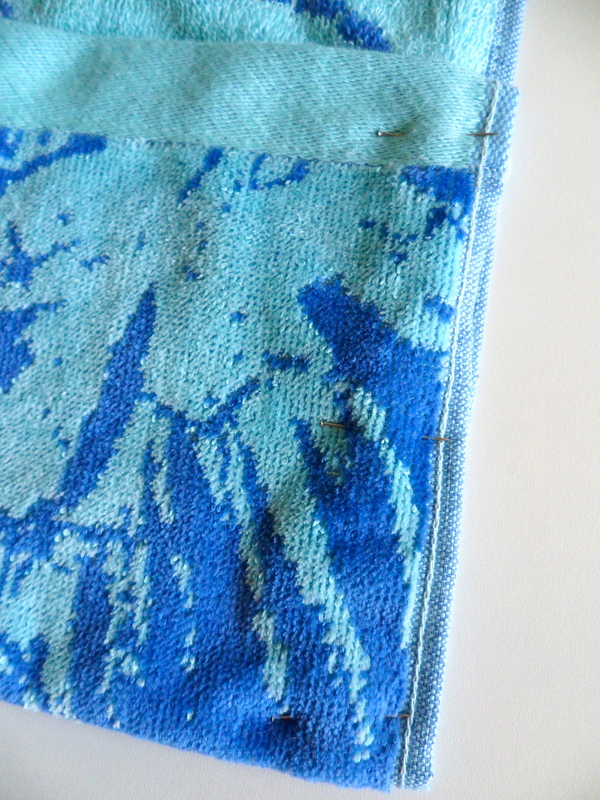 Make sure to stitch back on the tops of the pocket sides to reinforce them. 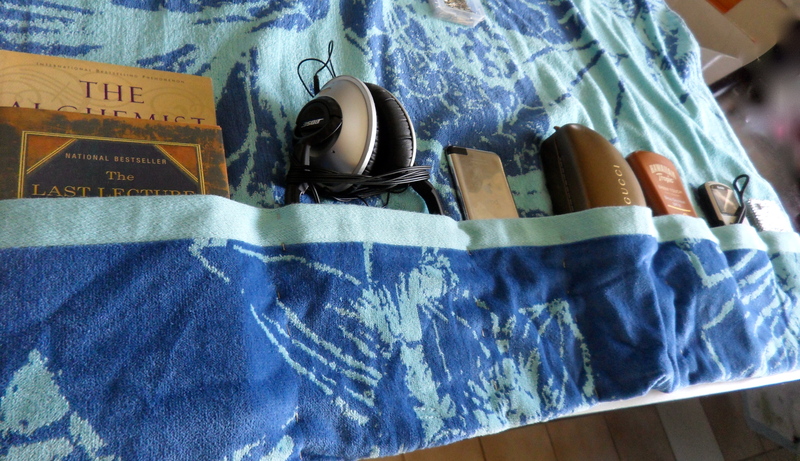 You’re done now… just put all your beach essentials in the pockets and roll the towel up. I sewed button holes into the top of the other end of the towel, threaded a ribbon through them and used those to secure the towel but you don’t have to do that unless you want to! I’ll leave you with the view from our beach this morning! nice post . Thanks for sharing with us. I like the colour combination of round beach towel . Pingback: 41 Cool DIY Hacks for Summer – What The Hack!